Greene County Wildlife Officer Matt Hunt received the Blue Coat of the Year Award. Submitted photos Nick Harpenau received the council Knight of the Year Award, while Harpenau and his entire family were recognized as Family of the Year for their involvement and many hours of volunteer work in the community and church. Knights of Columbus Council 1801 officers. 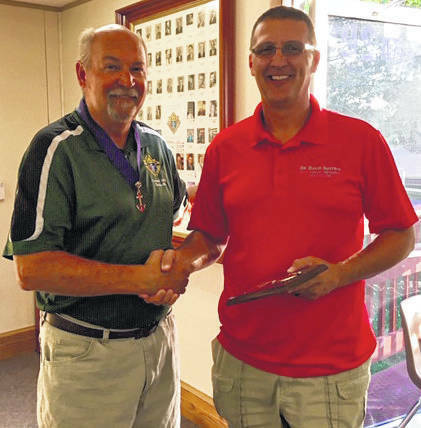 XENIA — Saint Brigid’s Knights of Columbus Council 1801 presented multiple annual awards to during a recent gathering. Past Grand Knight Joe Howell presented Nick Harpenau with the council Knight of the Year Award, while Harpenau and his entire family were recognized as Family of the Year for both the council and the State of Ohio for their involvement and many hours of volunteer work in the community and church. 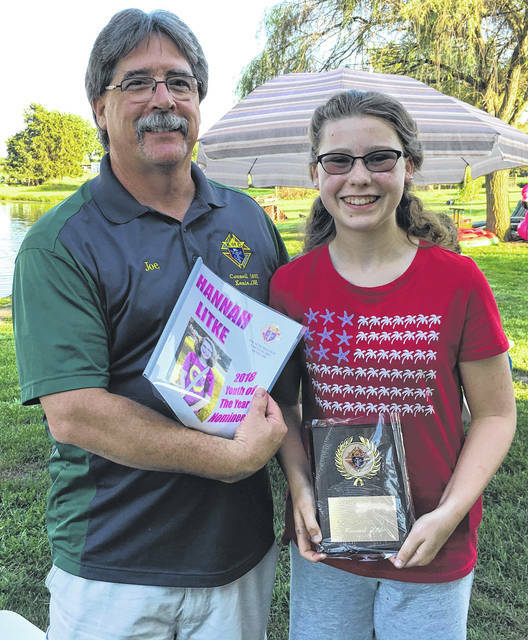 Howell also gave Hannah Litke the Youth of the Year Award for her contributions and leadership as a youth in the community and church. On a separate occasion, Grand Knight Martin Shaver presented Knight and Greene County Wildlife Officer Matt Hunt with the Blue Coat of the Year Award, winning both council and Cincinnati District level. Hunt’s efforts have ensured the safety of wildlife and community members for many years. Father John Krumm, now retired, earned the council Chaplain of the Year Award for significant contributions and pastoral care for three separate parishes: St. Augustine in Jamestown, St. Brigid in Xenia, and St. Paul in Yellow Springs. Shaver expressed his gratitude on behalf of all the members for the tremendous amount of hard work and numerous volunteer hours that went into planning and completing all of the activities conducted throughout the year to achieve the council’s fraternal year program goals. Their efforts and those of many other members of the council also resulted in 1801 earning the Star Council and Columbian Awards among numerous other accolades. https://www.xeniagazette.com/wp-content/uploads/sites/32/2018/10/web1_Matt-Hunt.jpgGreene County Wildlife Officer Matt Hunt received the Blue Coat of the Year Award. 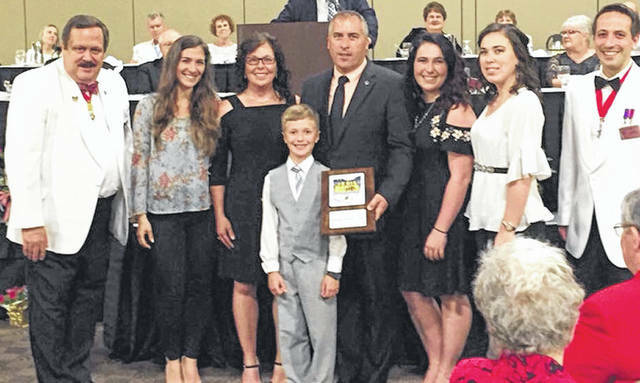 https://www.xeniagazette.com/wp-content/uploads/sites/32/2018/10/web1_Nick-Fam-photo.jpgSubmitted photos Nick Harpenau received the council Knight of the Year Award, while Harpenau and his entire family were recognized as Family of the Year for their involvement and many hours of volunteer work in the community and church. 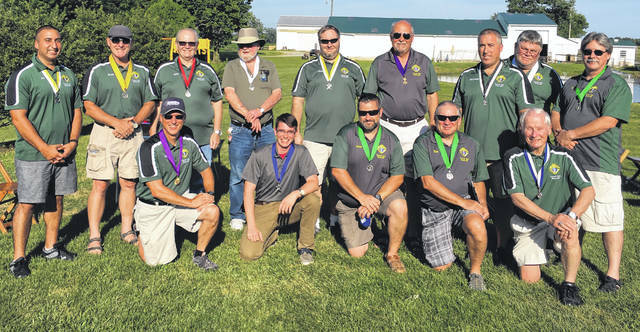 https://www.xeniagazette.com/wp-content/uploads/sites/32/2018/10/web1_Council-Officers.jpgKnights of Columbus Council 1801 officers.